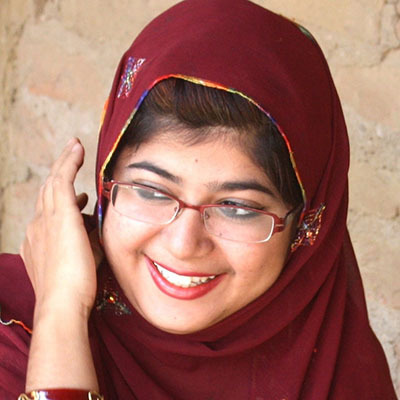 Khalida Brohi is a 24-year-old entrepreneur and women’s rights activists from Balochistan, a province in Pakistan. She is the founder of Sughar, an organization based out of Balochistan and Sindh aiming to empower tribal women, by developing their skills and providing them income-generating and learning opportunities. The ultimate aim is to enable them to take on a leadership role not only in their households, but in society, so as to gradually help end honor killings, lower the rate of violence against women and gender discrimination. The young Pakistani’s inspiration are her parents, especially her mother, who was married when she was 9-years-old and did not have the opportunity to have an education. Khalida’s mother, however, made sure that all her daughters were properly educated. In order to do so, she managed to persuade her husband to move from their village in Balochistan to the city of Karachi. That’s how Khalida and her sisters were able to attend schools and were given opportunities, which in their parents’ native village, they would have never had. Khalida’s activist work was inspired by the loss of a friend from her village to an ‘honor killing.’ Honor killings are usually intentional homicides of relatives based on the idea that they have dishonored the family. Khalida grieved for her friend, but was ultimately infuriated. To honor her friend’s memory, at the age of 16, Khalida started an online campaign called Wake Up, aiming to contribute towards reducing the incidence of honor killings. Her campaign gained international attention, mainly through the support of Amnesty International. She started giving talks about her work and the movement. However, she soon discovered that increasing media exposure made it difficult for her to be accepted in her village, because people there started considering her campaign un-Islamic. At the same time, she realized that the campaign she had worked so hard on had little effect on the lives of people in her village. Khalida suddenly realized that her approach in solving the problem of honor killings had not been appropriate, as she had been opposing values that were meaningful to people and had not been including the women, whose struggle she was supporting. She decided to change her strategy, by designing a project that would benefit the local communities and promote positive traditions, while empowering women. Thus, Sughar, was born. The organization focuses on establishing Women Learning and Skill Development Centers in various rural communities, with the purpose of providing a 6-month course to local women on value-adding the traditional embroidery, while providing them basic education and literacy skills. After finishing the course, the women are subsequently provided a small loan to continue their embroidery work at home. Khalida’s organization has also registered with Rural Fashion to ensure that the rural women’s work gets the recognition it deserves and that the women receive increased profit for their products. The products are marketed through various exhibitions and stalls around Pakistan. So far, the project has been scaled up to 23 villages, with around 30 women coming to learn from 3 trainers. A total of 800 women are currently in the project, but Khalida dreams of reaching a million women in the next 10 years. The organization also works to provide women access to and ownership of land property, which is still uncommon in Pakistan. Once they become landowners, these women received training from Sughar on how to farm and generate sustainable income. For her work and accomplishments, Khalida has received several distinctions, including the Women Excellence Award by national Government of Pakistan, the Young Champion Award from the University of Singapore, and the Unreasonable Institute Fellowship Award. She has been selected as Newsweek Magazine’s 25 under 25 and one of Forbes ’30 under 30,’ in the social change category. Khalida has also taken part in many global forums and been on panels or discussed with global changemakers, such as Oprah Winfrey, Christiane Amanpour and former US President Bill Clinton.